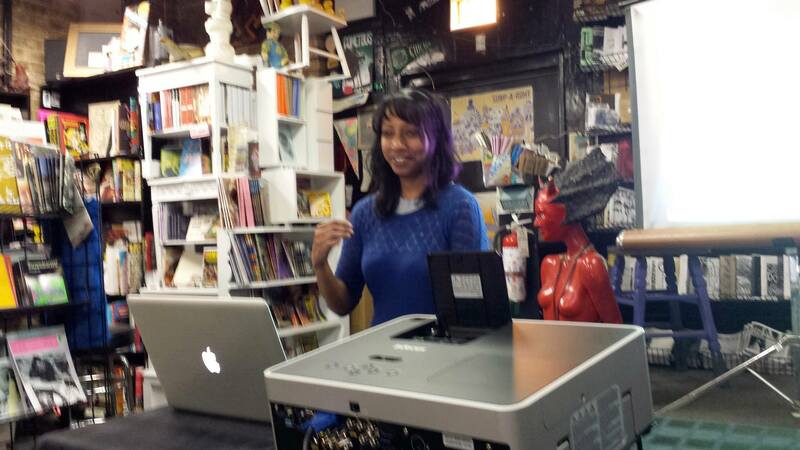 What started the whole excursion off was a presentation, on June 13th, at Laydeez do Comics! I’m a huge fan of LDC and their mission and it was a great privilege and honor to be invited to speak at the Chicago franchise. The event was held at Quimby’s, which you should definitely make a point to visit. Photo credit Liz Mason. 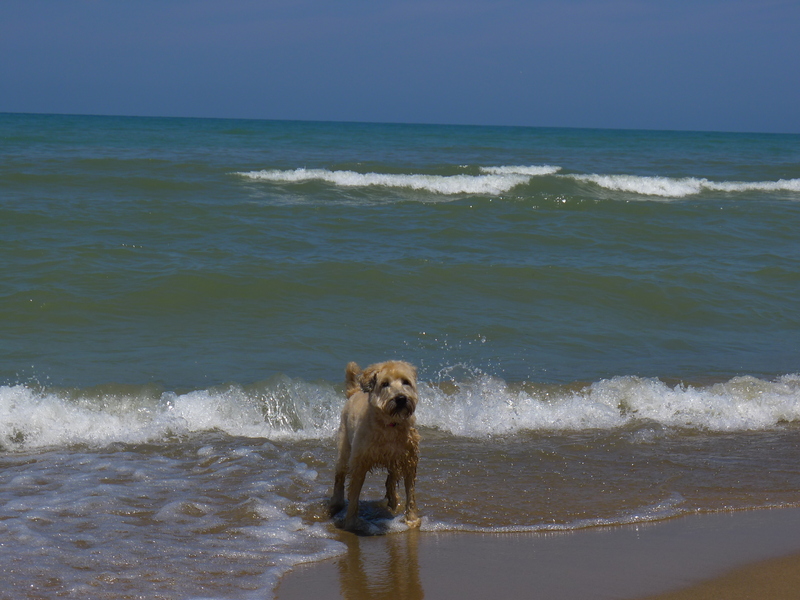 While in Chicago, I was hosted by good friends MK (Comic Nurse) and Cindy and their sweet and beautiful Wheaten Terrier Alice Bea. One night, we stayed in their home in Michigan, which is just yards from the Lake. I grew up on this lake (on the other side, in Wisconsin) and so I was thrilled to be able to spend time on it. Thanks for being such lovely, thoughtful hosts and friends! 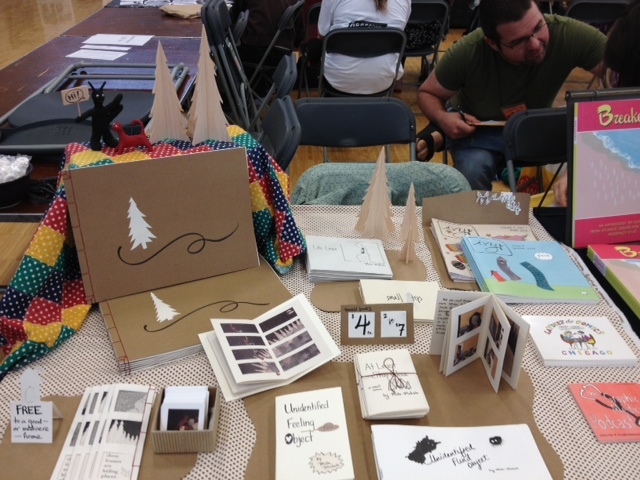 Another highlight from Chicago was attending and tabling at CAKE (Chicago Alternative Comics Expo). I’m finding that one of my favorite aspects of tabling is connecting with other comics artists and friends. Several folks made the trek from Seattle (including the very talented Eroyn Franklin, Tim Miller, Tom Van Deusen, Darin Schuler, and James Stanton). I had the chance to re-connect, too, with Kenan Rubenstein (his “Last Train to Old Town” inspired many aspects of “Roots”) and Tyrell Cannon (eager to read his new comic “Victus”). And it was such a pleasure to have Dave Kelly and Lara Antal as table neighbors. Next stop was London for the Narrative Medicine conference, where I presented a paper on panic disorder comics on a panel focusing on Graphic Medicine. The panel also featured Ian Williams, MK, and Linda Raphael (felt very lucky to be part of this group). 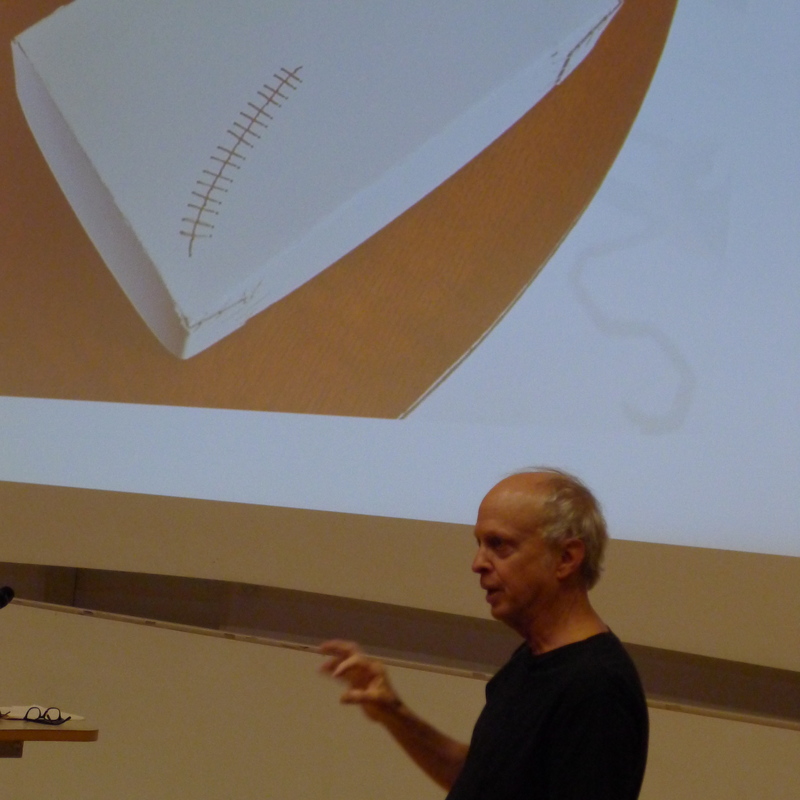 One of the highlights for me at the conference was David Small’s craft talk. 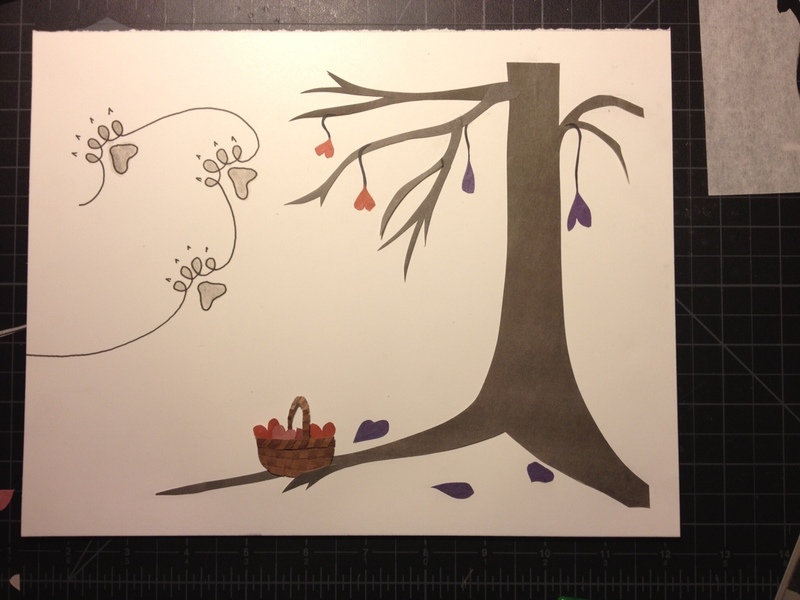 Among the many stories he shared was one about sending out his Stitches manuscript in boxes with stitches embroidered into them. There was swooning! It was great to be back in London—seeing old friends and making new ones. One of my favorite pit stops on this visit was a pub called The Ship. Garden seating. Friendly vibe. Close to the hotel! 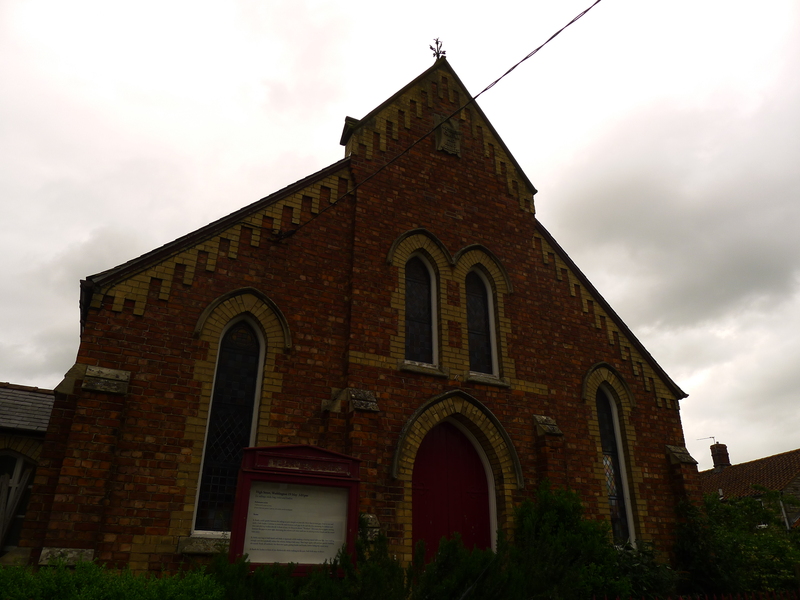 From London, MK and I traveled to Lincolnshire where we stayed with Nicola Streeten (co-founder of Laydeez do Comics with Sarah Lightman) and her husband, artist John Plowman, in the derelict Methodist chapel that they renovated into their gorgeous home. It was so nice to get out of the bustle and noise of London and step into the, um, bustle and noise of an all-day birthday party for Nicola (50), John (60), and a friend of theirs (40)! There were dogs in costumes and 8,000 cakes and much much laughter. Thank you for hosting us, Nicola and John. Such a great weekend! I’d like very much to go back to Scotland some day. I haven’t been very successful at turning conference-related trips to visits where I can actually enjoy and take in the place. But Glasgow was lovely—so so friendly—and I’d definitely like to go back for a longer period. I give that preamble in order to share that one of the highlights of the Glasgow portion of the trip had nothing to do with Glasgow! On the 26th of June, MK and I sat in a restaurant awaiting to hear the Supreme Court decisions relevant to marriage equality. MK nervously texted with Cindy as we drank prosecco in anticipation of the rulings. And it happened and there were tears and giddiness. I took this photo of the people next to us who had no idea about why the Americans were ordering yet MORE prosecco. It was also so great to spend time with Nicola and Sarah—incredible and inspiring artists and scholars. 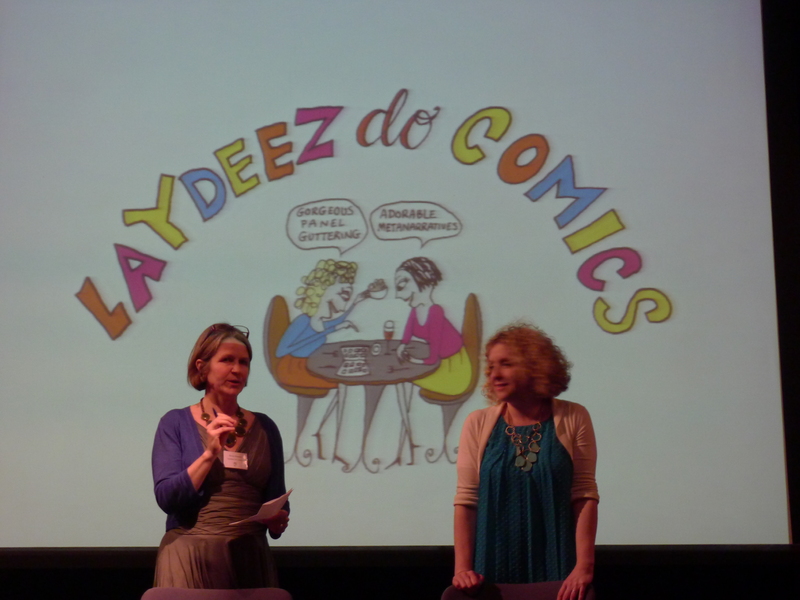 In addition to presenting at the conference, they hosted the inaugural session of Laydeez do Comics, Glasgow. A fun evening. Highlight was the short film Sarah screened from her project. The next stop was Manchester, where we allowed ourselves the chance to rest in a hotel (after staying in the dorms in Glasgow, this was a real treat). 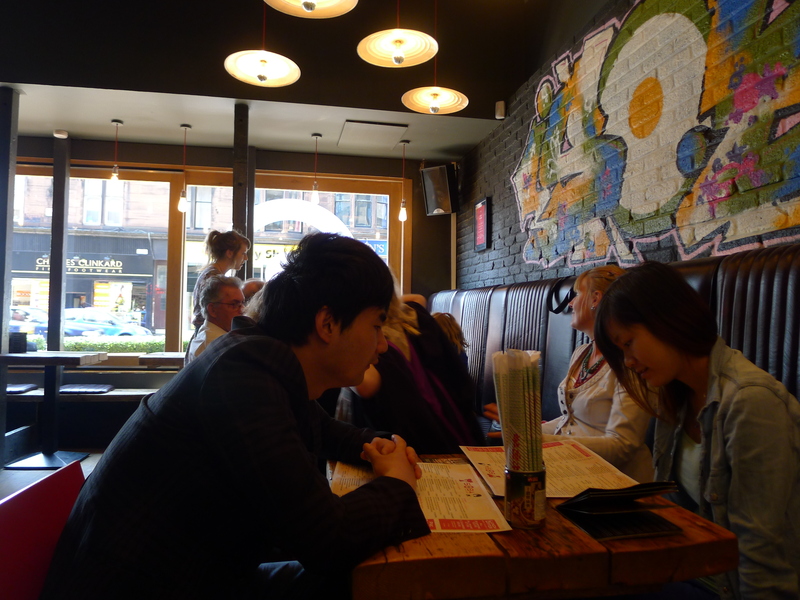 One highlight here was a delicious ale in the Northern Quarter—and the cheap curry afterwards. 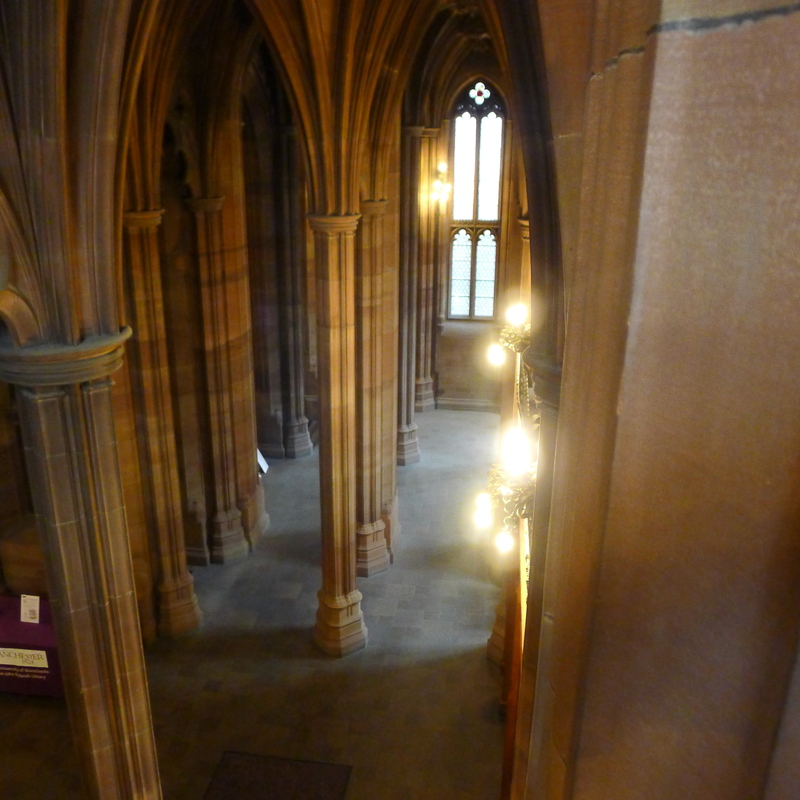 We also visited the John Rylands library, which has a ridiculous archive of very very old books. The pillars in the library are meant to look like trees. Swoon! Much of what we saw is owing to Ian Williams, who makes Manchester his home. Thank you, Ian, for the tour of your city! 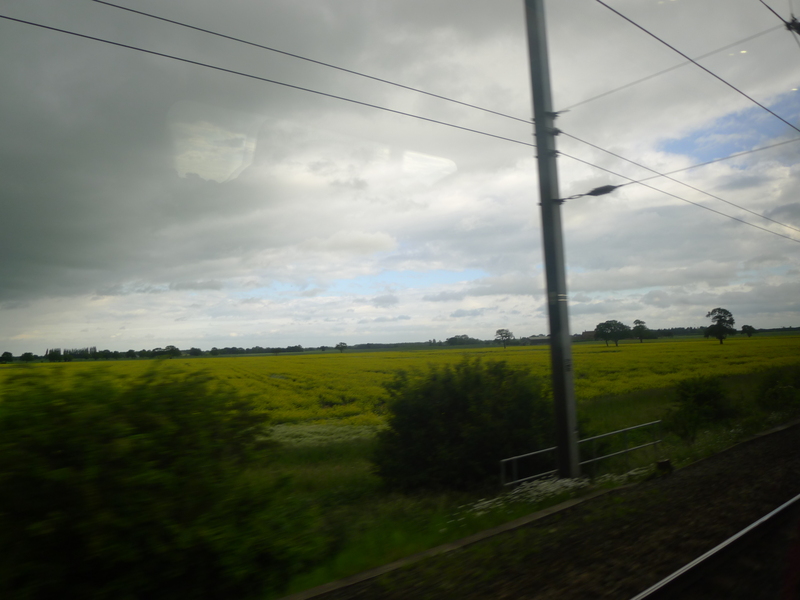 Next, we took the train to Bristol where we visited Katie Green and Paula Knight. 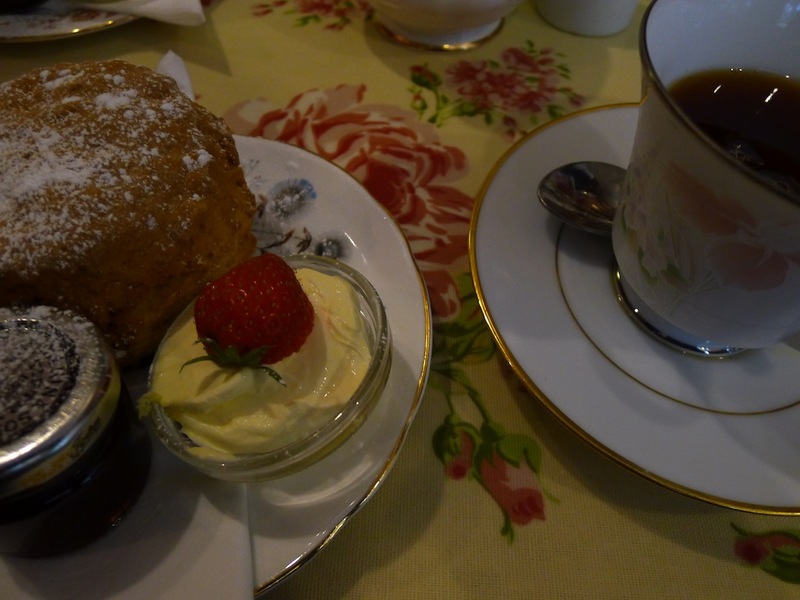 There are so many highlights from this portion of the trip, but (owing to my sprained ankle) very few photos (here is the cream tea we had during a day trip to Bath!). Mostly, the time was spent catching up with good friends. I also had the chance to read an advance copy of Katie’s new graphic memoir, Lighter Than My Shadow (out from Jonathan Cape in October). I was (still am) blown away by it—its story and its art. 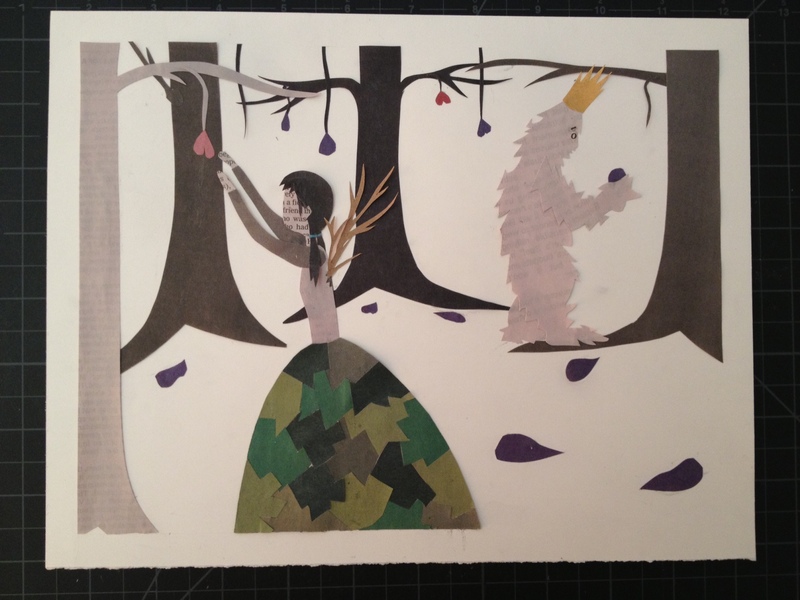 I’ve had many discussions about the lack of empowering coming-of-age stories for girls. Katie manages to move eight steps ahead of that issue by dismantling what we expect and need from such stories in the first place. Instead, she gives us an honest, heartbreaking, but very real account of her experiences through her teens and, in doing so, offers an incredibly identifiable, sympathetic, complex, and powerful portrayal. Read it! From Bristol we traveled to Brighton for the 2013 Comics and Medicine conference. As this post has already grown far too long with highlights (are you really still reading? 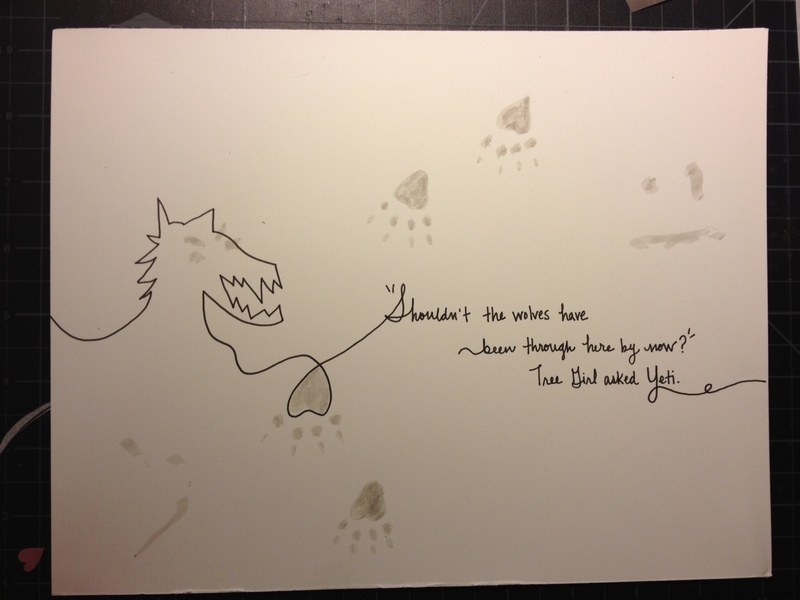 ), please stay tuned for the next: COMICS AND MEDICINE 2013!